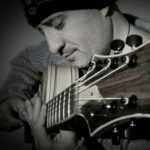 Join Jake for his first Mike’s Master Class, “Making the Changes – Translating the Jazz Language on Guitar”. Jake will cover substitute changes, inside/outside playing and chromatics. This class is 2 hours long.